Vermont’s Linda Urban Tackles Father-Son Bonding in a New Book | The Kids Beat | Kids VT - small people, big ideas! Splitting time between divorced parents is a reality for many kids, but few children's books chronicle what it's really like. 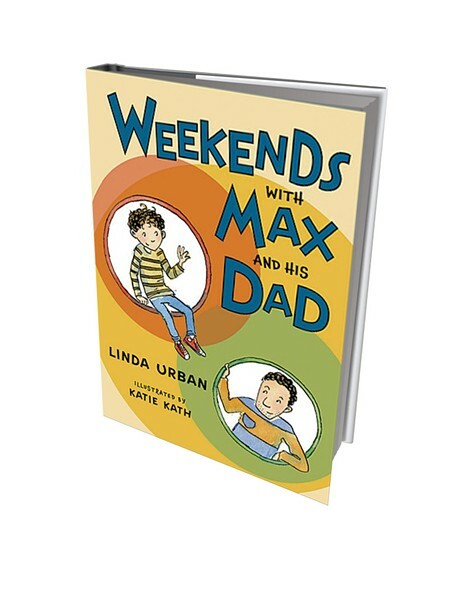 Vermont author Linda Urban tackles the sensitive subject in Weekends with Max and his Dad, the first of three books geared to kids ages 6 to 9 that follows third-grader Max as he adjusts to the changes in his family. From devouring bacon-and-pineapple pancakes at a local coffee shop to shopping for furniture for his dad's new apartment, the slim novel recognizes both the joyful moments and stressful situations that come about when parents break up. "At the heart of the story," writes Booklist, "is Max's warm, easygoing relationship with his father." Weekends with Max and his Dad, by Linda Urban, illustrated by Katie Kath, Houghton Mifflin Harcourt, 160 pages, $16.99.